Strategic prayer can come in many forms and we are involved in assisting facilitation of a variety of methods from mobilizing for key issues via social media to “boots on the ground” in the nations. We gain strategies through prayer and the prophetic and partner that with research to be able to pray intentionally for root issues to see breakthrough. NEW SURPRISE AZ STRATEGIC PRAYER SCHOOL STARTS February 23rd, 2019! This school uses a blend of live teaching and DVDs. It also utilizes the curriculum developed by Rebecca Greenwood, author of Authority to Tread, An Intercessor’s Guide to Strategic Level Spiritual Warfare. During this 6 part school, we will seek the Lord for a prayer assignment and go through the process of planning and participating in a prayer journey based on research from teaching received during the school. You will receive a comprehensive syllabus, textbook, and a journal. We want this to be a valuable and profitable experience you can refer to each time you receive a prayer assignment from the Lord. Lite the Fire serves as the Arizona State Leaders for SPAN (Strategic Prayer Action Network) SPAN is a global network established by Rebecca Greenwood, Christian Harvest International. 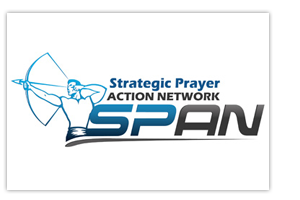 SPAN is called to train and relationally network believers in strategic-level spiritual warfare and mobilize initiatives for cities, states, regions and nations to see the kingdom of God released and transformation in all realms of society. For more information on SPAN and how you can become involved check out Christian Harvest International at www.christianharvestintl.org.